Their Roto Sunday Golf Travel Case is a lightweight, airline travel safe and ready solution to transport your favorite clubs. 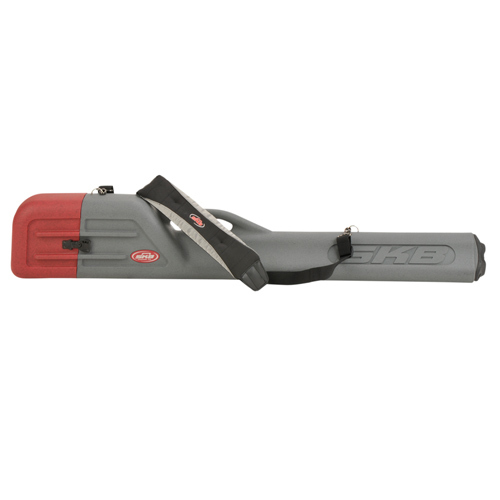 The Roto Sunday Case weighs only 6 pounds and eliminates paying for excessive baggage fees and is a great weekend case as well to their line-up of ATA rated travel cases. Its computer designed contours create maximum tubular strength. 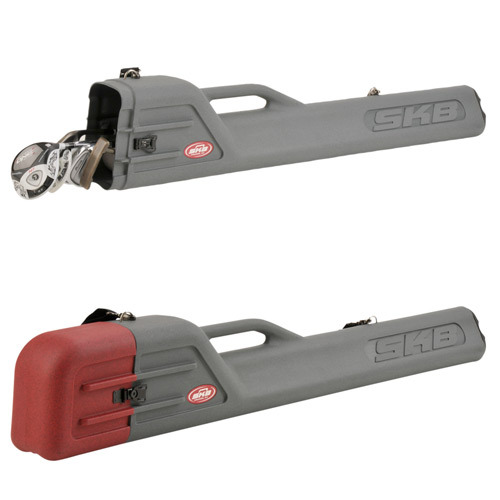 This case is roto-molded of polypropylene plastic with an ergonomically molded-in handle and padded SKB shoulder strap and a non-skid rubber end cap. 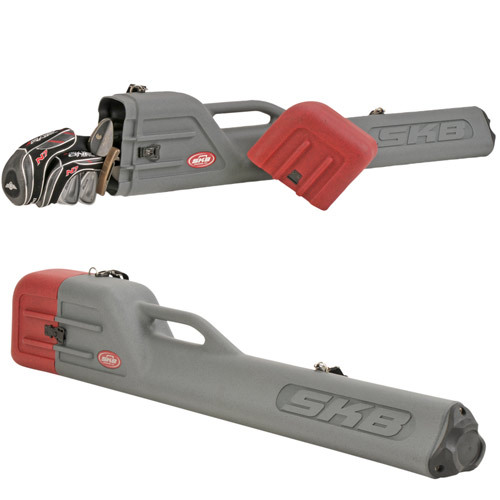 The SKB Roto Sunday Golf Case will hold 7-8 of your favorite putters, drivers, wedges or hybrid clubs up to 50" long; making it the perfect range bag or for playing the executive course. Black anodized locking twist latches that will accommodate a customer supplied TSA padlock provide added travel protection. • Designed to fit a driver, hybrid, putter, and wedges. Up to 7 to 8 clubs. • Airline travel safe and ready. • Non-skid rubber end cap. 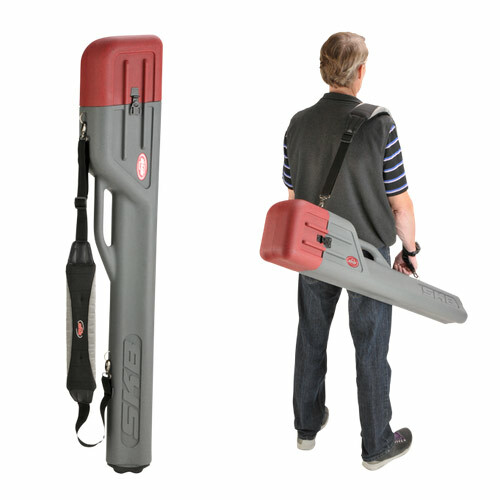 • Holds clubs up to 50 inches. • Weighs only 6 lbs.